Lawrence Daniel Kaufman, 42, was killed in the San Bernardino mass shooting on Wednesday, Dec. 2, 2015. SAN BERNARDINO, Calif. (KABC) -- A coffee shop worker killed in the San Bernardino mass shooting on Wednesday was remembered by loved ones as a caring and compassionate man. Lawrence Daniel Kaufman, 42 of Rialto, was working at a coffee shop in the Inland Regional Center helping to train other workers. "I'm not just exaggerating because he was my boyfriend, but the world will suffer from having one less person like him in it," Reyes said. "That's what bothers me, is you know, he is a ray of light to so many people and so supportive, willing to give you his last dime and go without." 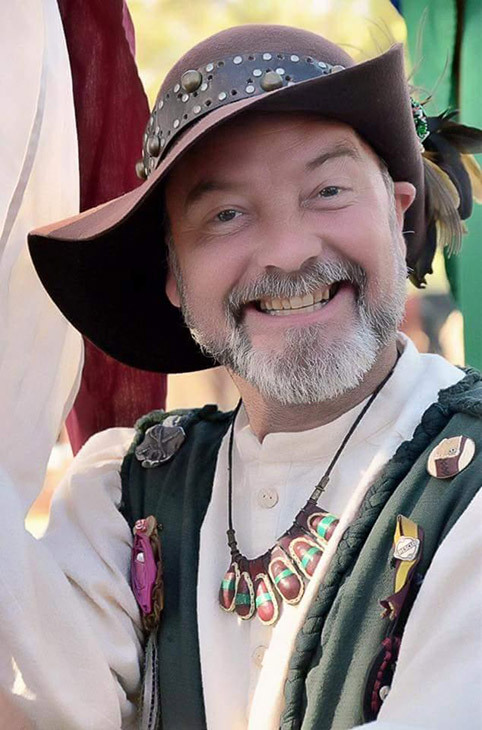 Reyes said Kaufman went by Daniel and was known for his work at the Renaissance Pleasure Faire, where he brought smiles and joy to so many for 16 years. "Everybody loved Daniel, he was just one of those easy going guys," Reyes said. Kaufman was thoughtful, as Reyes said he offered gifts of handmade trinkets to people for no particular reason other than he was just thinking of someone.